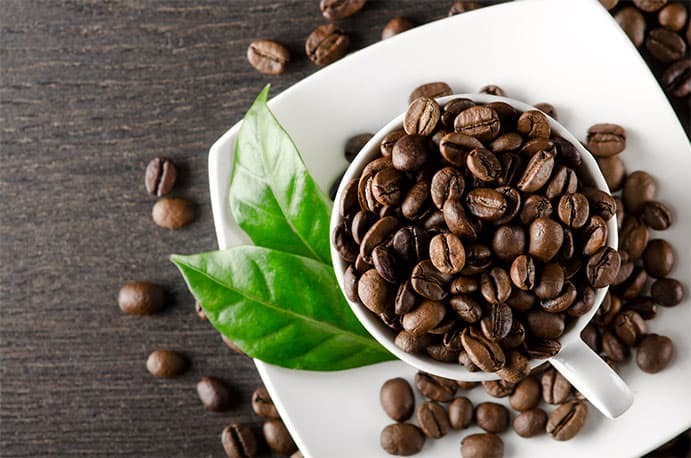 Caffeine is a natural ingredient found in coffee beans, tea leaves, cocoa beans, guarana and yerba maté. Caffeine is by far the most commonly used stimulant in the world. It’s the active ingredient in coffee and tea that makes us feel alert and awake. 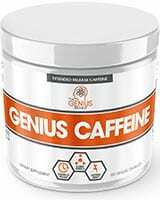 Throughout the years, we’ve come up with ingenious ways to maximize the effects of caffeine, including bulletproof coffee, the stimulant nap, microdosing caffeine, and L-theanine/caffeine nootropic stacks. >> Looking to Buy Caffeine? Click here to see our recommended sellers. In this article, we’re going to break down some of the best caffeine supplementation hacks available. Caffeine is known for its ability to promote wakefulness and stave off mental fatigue. High-caffeine herbs and supplements such as coffee, tea, guarana, and yerba maté have long been used to promote productivity and intellectual discussion. Coffee shops first appeared in Cairo, as meeting places for intellectuals and businessmen to discuss new opportunities and ideas. At the highly-esteemed Massachusetts Institute of Technology (MIT), it’s reported that the coffee can’t stop flowing as long as there are people in the cafes or lunchrooms. This is because some of the best ideas to have come out of the school were allegedly born during a conversation over coffee. There are a lot of studies on caffeine to explore and highlight how it works, and what it’s good for. Caffeine’s effects of increasing energy and making you feel more alert are due to its interaction with adenosine receptors in the brain. One of the primary ways caffeine works, it by blocking the activity of a compound in our brains known as adenosine. Throughout the day, as our neurons send messages around the brain and other parts of the body, a natural byproduct — adenosine — begins to build up in the brain.Shi, D., Nikodijević, O., Jacobson, K. A., & Daly, J. W. (1993). Chronic caffeine alters the density of adenosine, adrenergic, cholinergic, GABA, and serotonin receptors and calcium channels in mouse brain. Cellular and molecular neurobiology, 13(3), 247-261. Our neurons each have their own set of adenosine receptors on them. 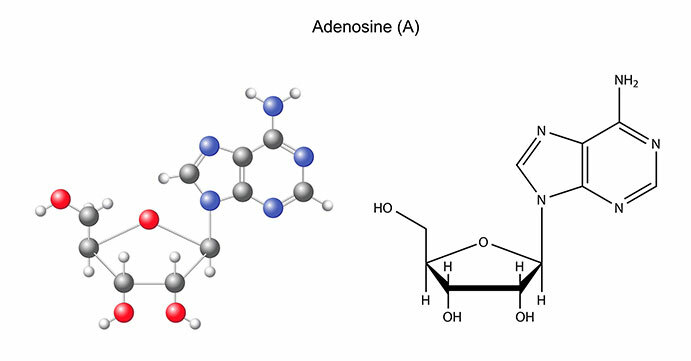 As adenosine builds up throughout the day, it binds to the adenosine receptors on the neurons. This creates a delay in the nerve before it can relay the message to the next neuron in line. This delay is only slight, but as more adenosine accumulate throughout the day, more nerves are affected — making us feel slow and mentally fatigued. The whole point of this system is to make us feel tired at the end of the day so that we can sleep. While we sleep, specialised cells known as glial cells are tasked with removing and dismantling adenosine so that we can wake up feeling refreshed and sharp. Caffeine works by forcefully removing this adenosine from the receptors and blocking these receptors from other adenosine molecules.Costenla, A. R., Cunha, R. A., & De Mendonça, A. (2010). Caffeine, adenosine receptors, and synaptic plasticity. Journal of Alzheimer’s Disease, 20(s1), S25-S34. This is why caffeine is excellent at keeping us awake when we would otherwise feel tired. Caffeine also activates a set of receptors known as the beta-adrenergic receptors. These receptors initiate the fight or flight stress response in the body. Normally these receptors are controlled by epinephrine, norepinephrine, and cortisol. Caffeine is an excellent nootropic substance with a lot of well-researched benefits, but it doesn’t come without side-effects. You can build a tolerance to caffeine. Over time, the body adapts to the effects of caffeine, prompting us to need more caffeine to produce the same level of benefits. Tolerance will eventually result in dependency once the body has adapted too much to the compound. Dependency means that the body relies on the effects of a substance to maintain the balance of the body. If we stop taking the compound, the body falls out of optimal balance producing negative side-effects. When we stop taking a substance we’re dependant on, we go through a process called withdrawal — the body struggles to maintain balance without the substance. In the case of caffeine, the primary causes of tolerance, dependency, and withdrawal are the adrenergic and adenosine receptors. Caffeine eliminates the effects of adenosine, so the body produces more adenosine to offset these effects. If we stop taking caffeine suddenly, the side-effects we experience are traced back to having too much adenosine in the brain. The activation of the beta-adrenergic receptors and inhibition of adenosine make us feel alert and awake — but they also cause the bulk of caffeine negative side-effects. Now let’s get into some of the hacks people have come up with over the years to get more out of their caffeine consumption — either by improving its effects or eliminating common side-effects. 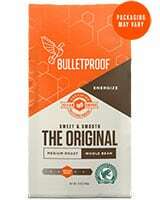 Bulletproof coffee involves mixing a saturated fat with coffee to provide a hit of fat-based energy, slowing the absorption of caffeine over time. Caffeine is fat soluble, so some of the caffeine dissolves directly into the fats added to the coffee. Since fats are much slower burning sources of energy than sugars—and are both broken down and absorbed much slower—it limits caffeine absorption. 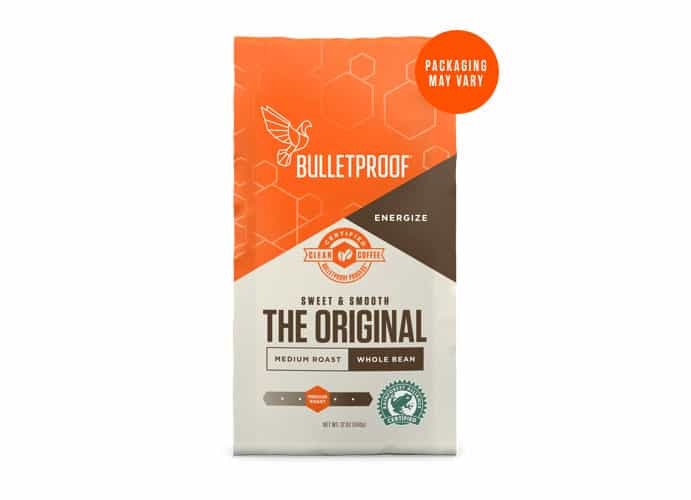 Bulletproof coffee is believed to provide a longer-acting caffeine kick as it’s absorbed slowly over the course of a few hours post consumption. It also has the added benefits of supporting ketosis — another biohacking technique where the body switches from glucose-based metabolism to fat-based metabolism. This has lead to its other common name — keto coffee. All you need to do is mix in a source of fat with your coffee. The type of fat and amount can vary a lot depending on your preferences. Butter, ghee, and MCT oil are some of the most popular options. In order to get the fat to mix in with your coffee, you’ll need to use rigorous stirring or an electric mixer. The stimulant nap involves taking a dose of caffeine directly before taking a short, 20-30 minute nap. The idea is that since caffeine takes about 20-40 minutes to take effect, it can be combined with a power nap for an added boost. Upon waking you get the clearance of adenosine in the brain from both the nap and the caffeine — giving you what feels like a turbo charge on your energy levels. Take a 100-200 mg caffeine pill immediately before taking a power nap. Make sure to set your alarm for about 20-30 minutes. You can also use coffee, tea, or yerba maté for this, but they’re less effective since they tend to enter the bloodstream faster than caffeine pills which need to first dissolve and breakdown before they can be absorbed by the digestive tract. 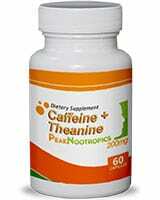 Another technique is to mix caffeine with another supplement extracted from green tea leaves known as L-theanine. The effects of the L-theanine directly reduce the most common side-effects of the caffeine, including the anxiety, jitteriness, heart palpitations, and high blood pressure.Haskell, C. F., Kennedy, D. O., Milne, A. L., Wesnes, K. A., & Scholey, A. B. (2008). The effects of L-theanine, caffeine and their combination on cognition and mood. Biological psychology, 77(2), 113-122. 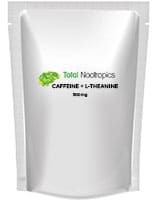 L-theanine is a perfect companion for caffeine because it alleviates most of the negative side-effects without affecting the benefits of caffeine such as its eugeroic (wakefulness promoting) and nootropic benefits.Haskell, C. F., Kennedy, D. O., Milne, A. L., Wesnes, K. A., & Scholey, A. B. (2008). The effects of L-theanine, caffeine and their combination on cognition and mood. Biological psychology, 77(2), 113-122. Mixing caffeine and L-theanine is easy — simply take about a 1:1 ration of caffeine to L-theanine at the same time. 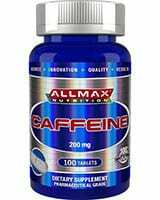 A regular cup of coffee contains about 100 mg of pure caffeine, so you can take a 100 mg L-theanine capsule with every coffee up to about four per day. Some supplements even come pre-formulated with L-theanine and caffeine for you. 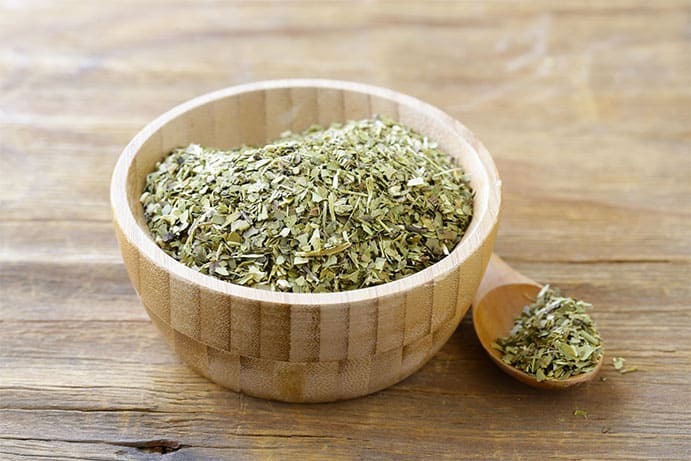 Yerba mate isn’t acidic like coffee and is much lower in tannins than tea, so people find it less bitter and more enjoyable to drink. Yerba maté is a tree made from the leaves of the Ilex paraguariensis tree — a South American species. Many parts of South America have strong yerba maté culture, with mate shops even more abundant than coffee shops in some places. Like coffee, yerba maté is naturally high in caffeine and therefore produces potent eugeroic benefits. People use it to help them focus during the day and to give them a boost of energy later in the day when they start to feel tired from the events of the day. What makes yerba maté different is that it also contains a similar alkaloid known as theobromine — which is actually the main stimulating compound in dark chocolate. Theobromine has been shown to eliminate some of the side-effects of caffeine, though differently than L-theanine.Heard, C. M., Johnson, S., Moss, G., & Thomas, C. P. (2006). In vitro transdermal delivery of caffeine, theobromine, theophylline and catechin from extract of Guarana, Paullinia Cupana. International journal of pharmaceutics, 317(1), 26-31. Theobromine is also a stimulant but tends to reduce side-effects like increased heart rate and high blood pressure. It gives a nice rounded effect on your caffeine use, providing the boost you’re looking for but isn’t as likely to cause symptoms of anxiety than coffee. The normal dose of caffeine is 100-200 mg at a time. The average cup of coffee contains around 100 mg. Traditional dosing of caffeine in the form of coffee, tea, and caffeine pills is to take a full dose first thing in the morning, followed by another half dose about an hour or two later. This loads the body with high doses of the compound, giving us a kick in energy levels right away, which then fades over the next 6 hours. Once the caffeine has worn off and been eliminated, we often experience minor symptoms of withdrawal — such as fatigue, and poor concentration. Microdosing seeks to fix this problem by loading the body with caffeine gradually over a few hours. Instead of taking a full dose of caffeine all at once, we take small doses (around 20 mg) every hour. Since the half-life of caffeine is around 6 hours, as we take a new dose every hour, caffeine levels build up over time. 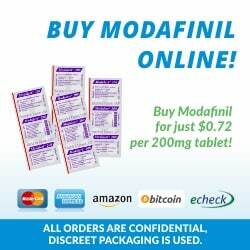 The reported benefits of microdosing caffeine is a steady rise in energy levels throughout the day without the crash. It’s also reported to have significantly fewer side-effects than traditional caffeine supplementation. Microdosing caffeine is simple, all you need to do is take about 0.3 mg per kg of body weight every hour. For the average 75 kg person, this works out to about 20 mg of caffeine with each dose — or about 20% of a cup of coffee. Most people start microdosing immediately upon waking and take their caffeine every hour until about 2 or 3 pm. 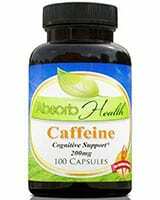 Caffeine is one of the most useful (and popular) nootropic stimulants in the world. It’s an excellent tool for staving off fatigue and giving us a boost in energy levels. Unfortunately, caffeine isn’t perfect and often causes negative side-effects like anxiety and jitteriness — which can interfere with its benefits. As a result, people have discovered a few techniques that can be applied to get even more out of their caffeine use depending on their goals or the side-effect they’re experiencing. 1. ↑ Shi, D., Nikodijević, O., Jacobson, K. A., & Daly, J. W. (1993). Chronic caffeine alters the density of adenosine, adrenergic, cholinergic, GABA, and serotonin receptors and calcium channels in mouse brain. Cellular and molecular neurobiology, 13(3), 247-261. 2. ↑ Costenla, A. R., Cunha, R. A., & De Mendonça, A. (2010). Caffeine, adenosine receptors, and synaptic plasticity. Journal of Alzheimer’s Disease, 20(s1), S25-S34. 3, 4. ↑ Haskell, C. F., Kennedy, D. O., Milne, A. L., Wesnes, K. A., & Scholey, A. B. (2008). The effects of L-theanine, caffeine and their combination on cognition and mood. Biological psychology, 77(2), 113-122. 5. ↑ Heard, C. M., Johnson, S., Moss, G., & Thomas, C. P. (2006). In vitro transdermal delivery of caffeine, theobromine, theophylline and catechin from extract of Guarana, Paullinia Cupana. International journal of pharmaceutics, 317(1), 26-31.